In moments of rawness and realness, we find our true selves. This is Azzah’s story. While dealing with one of the darkest times of her life, processing family trauma and recovering from injury, Azzah overhears a conversation around the question, “what do you want to do before you die?” Inspired and energized, she rushes home and begins her bucket list. Although she has never seen herself as much of an adventurer, she realizes she’s capable of more than she ever imagined. We pick up with Azzah in her own personal sunrise as she redefines what she wants her life to look like. Her story is one of identity, self-discovery and answering the call of the natural world. It reminds us that there’s a difference between living and just being alive. 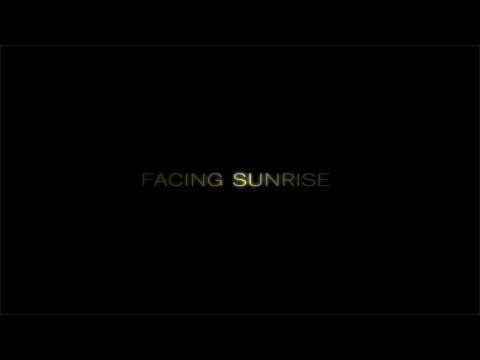 “Facing Sunrise” offered me the unique experience of exploring Azzah’s inspiring story while simultaneously questioning my own (lack of) place in the world of outdoor activities. As I awkwardly navigated hiking and camping for the first time, Azzah jokingly commented, “we should be filming this!” At the end, I was able to see this world through Azzah’s eyes, and I forged a new understanding and appreciation for the restorative and inspiring power of being in nature. Her first feature film, “Eve & the Fire Horse,” was met with critical acclaim after premiering at The Toronto Film Festival and garnered several awards, including at The Sundance Film Festival, where it won the Special Jury Prize for World Cinema. Kwan made her feature documentary debut with the NFB-produced film “Everything Will Be,” which received a Canadian Screen Award for best Cinematography as well as the Meilleur Espoir Award at the Montreal International Documentary Festival. Currently, Ms. Kwan is in production on her first animated short drama, “The Zoo,” produced by the National Film Board. In addition to her filmmaking, Ms. Kwan is the founder of Swan by Kwan, the Everything Wonder Balm. As a cancer “graduate,” Ms. Kwan was inspired to make a natural, artisanal balm that is lovingly crafted and free of parabens.